The 2018 Summer Program of Xiamen Academy of International Law will be held from July 9th to 27st 2018. 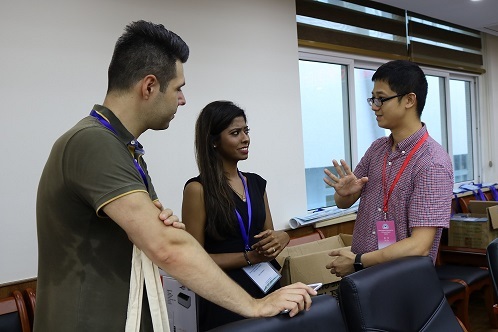 The registration started in the afternoon of July 8th at law school of Xiamen University. 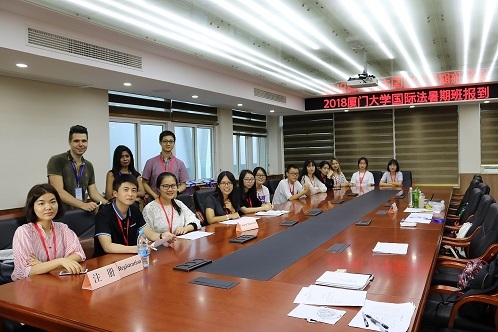 Besides students of Xiamen University, this year’s program has attracted 40 Chinese students and 27 students from foreign countries including India, Nepal, South Korea. Staff from Ministry of Foreign Affair of China also take the opportunity to participate in this program. This summer, six worldly esteemed international law scholars will give lectures on forefront issues of international law. During the course of three weeks, these lecturers will address topics of international environment law, international criminal law and so on. Following the registration session was a reception party to welcome all participants at the Law School. Over 50 participants and volunteers gathered around the courtyard of the faculty’s Café, enjoying snacks and beverages. Dr. Su Yu, representing all staff of Xiamen Academy, hosted this event. He extended warm welcome to all participants, as well as best wishes to the forthcoming Program. Young students are quite excited to know each other at this occasion, and they freely express their interest in International Law in a relaxed and cheerful atmosphere. There is no doubt that they will enjoy and make the most use of the three-week program.